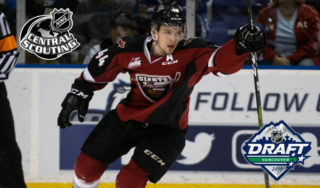 Saturday night in Victoria the Vancouver Giants earned a single point in a 3-2 overtime loss to the Victoria Royals. Kaid Oliver ended the game with 25 seconds remaining in the overtime period, capping a two-goal, three-point night. 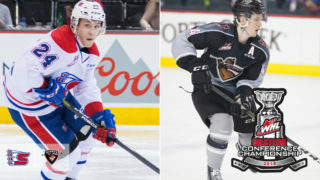 Milos Roman and James Malm had goals in response for the Giants who despite the setback have gone six straight games without a regulation loss. The Royals improved to 7-0. Victoria opened the scoring at the 12:13 mark of the first period on a power play when Kaid Oliver snuck his fifth of the season past David Tendeck from inside the blue paint of the goal crease. The Giants argued that Tendeck had been interfered with on the play, but after review the goal stood and the Royals led 1-0. Tarun Fizer and D-Jay Jerome added assists. Late in the first the Giants countered when James Malm snuck past the defense, took a pass from Davis Koch and ripped his eighth goal of the season past Royals starter Griffen Outhouse. Malm’s team-leading eighth came at 18:52. Shots through one period were 11-7 Vancouver. Brandon Cutler restored Victoria’s lead at 13:08 of the second period off the rush. Cutler’s initial shot off a two-on-one was stopped by David Tendeck, but Cutler knocked his own rebound home for his third of the season. 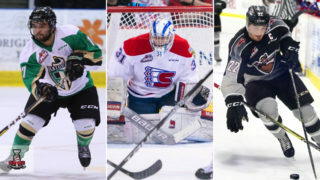 Victoria outshot the Giants 11-4 in the middle frame and took a 2-1 lead into the final period. Early in the third the Giants evened things up when Milos Roman converted on his third goal of the season. 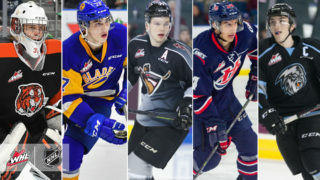 The Calgary Flames prospect parked himself in front of the goal, took a Davis Koch pass and outwaited Griffen Outhouse to extend his point-streak to six games and his goal-streak to three. Jared Dmytriw added an assist on Roman’s goal. 60 minutes came and went without a winner and for the second time in as many nights, the Giants would require extra time to determine their fate. With under a minute to go in overtime, the Royals caught a break. Dante Hannoun’s point shot through traffic was stopped by David Tendeck, but the rebound bounced right back to Kaid Oliver who was parked in front of him. Oliver alertly moved the puck to his backhand and shovelled it home to clinch the Royals seventh victory in a row to start the season. Oliver’s second of the game came with only 25 seconds remaining in OT. Next up: A rematch between the two clubs. 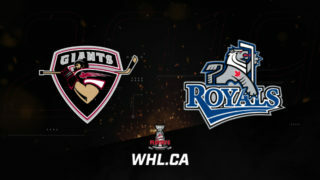 The Giants and Royals will square off tomorrow afternoon at 3:00 PM from the Save On Foods Memorial Centre, capping a three-game in three-day weekend. 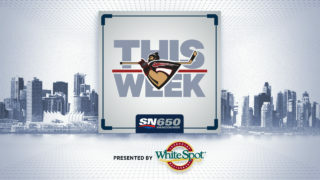 – Through five road games, the Giants remain unbeaten in regulation with a 4-0-1-0 record. – With two assists on the night, Davis Koch recorded his third multi-point game for the Giants which ties him for the team lead with James Malm.